I hope you all had a great Easter weekend if you celebrate it. It was lovely to be off work for 4 days straight. Santoro cover gift this time, so I decided to have a bit of a play! thrifty as I possible when making them! 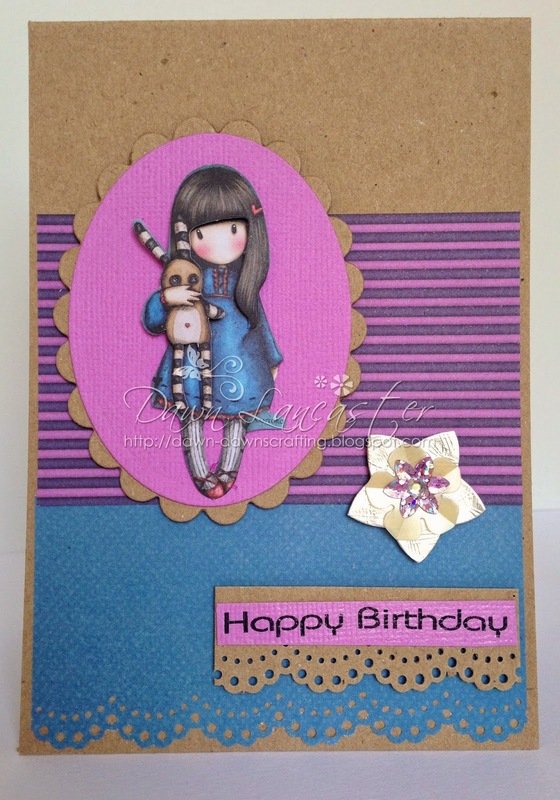 Here's what I made using the freebie & some stuff mainly from my scraps box! Decoupage, buttons & paper were from the kit. make another image. You'll see a card I made using this in a mo! The sentiment was cut with a Tattered Lace die. Again, a scrap of lace, the gift set ribbon & some of the ribbon tags from a top. 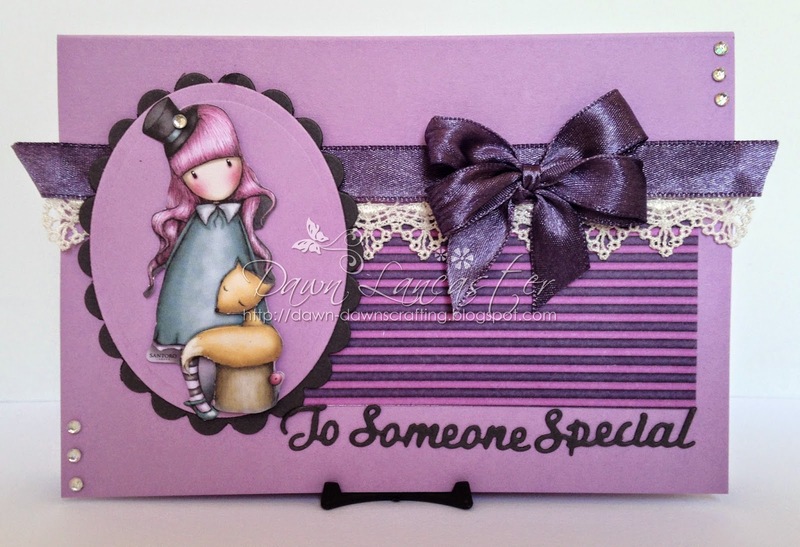 The sentiment tag was part of the kit & I added a peel of greeting! This is the second layers of the decoupage matted & layered then placed on an oval die cut. The ribon is from another gift set & the lace is from my stash! After I had stuck it on, it srtuck me that it would have looked lovely as bunting! it's been kicking about my stash forever! as well as a scrap of lace & some upcycled ribbon! Beautiful cards Dawn and I love the fact that you've not spent a bomb on them too with all your thrifty stash! Hope you're keeping well. Hi there, I just love Gorjuss girls. I have a ton of their stamps. I assume that these freebies were printed images? The "girls" are not known well on the North American side of the pond, which is too bad, I just adore them. Just thought I would share. 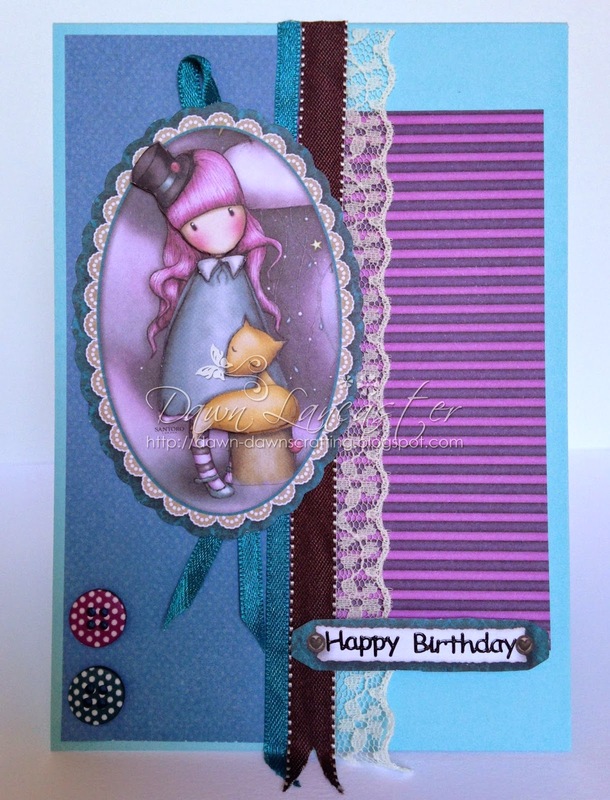 Gorgeous cards Dawn, love them all, such fabulous colour combinations you've used. Thanks for visiting my blog and leaving a nice comment Dawn, appreciate it. 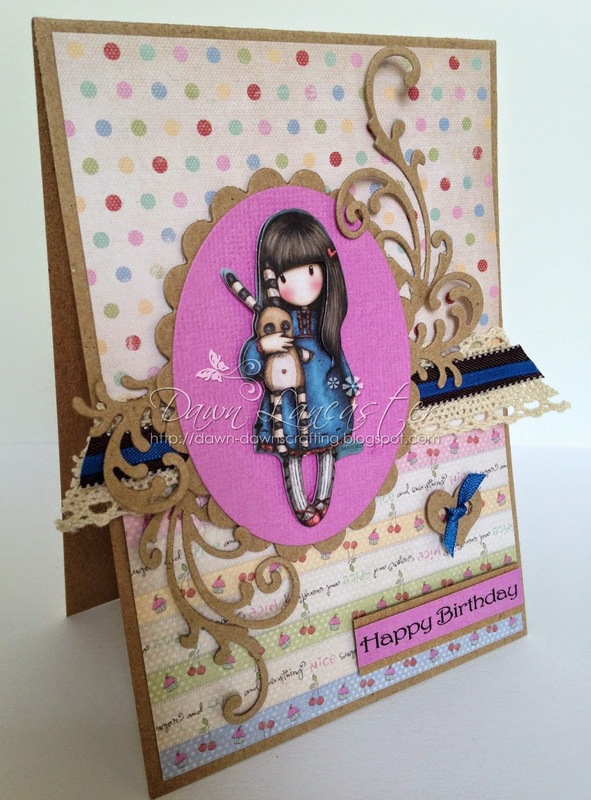 A fabulous collection of cards Dawn, you did a brilliant job with that kit. These are fabulous. 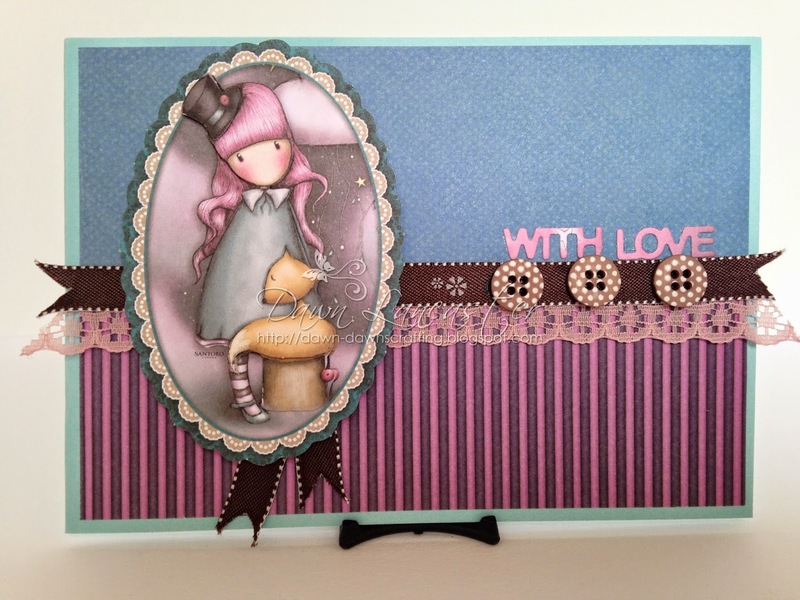 Love the papers and embellishments.